A young man in a yellow crocheted bikini talks on the phone, a woman wearing only a lampshade kneels on the floor and another man uses chips for fangs. 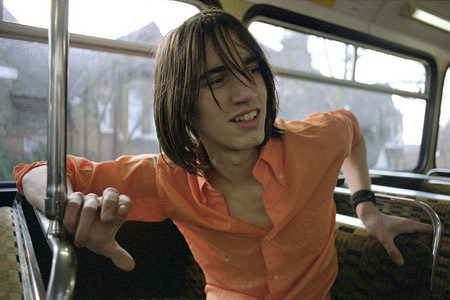 Filled with humour and life where one can almost hear the laughter out of shot, these images of Kevin, Tara, Vinca and George form part of an exhibition of previously unseen photographs of early work by Corinne Day. May the Circle Remain Unbroken shows the people that Corinne's work brought together and the friendships that formed over 20 years ago and continue to endure three years after her passing. It also illuminates Day's pioneering approach to photography where the boundaries are blurred to the extent that it is impossible to dissect the constructed from real. Corinne and long term partner Mark Szaszy's Brewer Street flat often doubled as a set where friends, models and muses all overlapped. In addition to the photographs, a series of music videos by Mark will be screened bringing to life the protagonists in Day's work. Accompanying the exhibition is a new publication of the same name by Morel Books. Edited by Mark Szaszy, this book documents Corinne's progress from the early to mid nineties and stands as the first work since Diary.